Hello, Weekend! 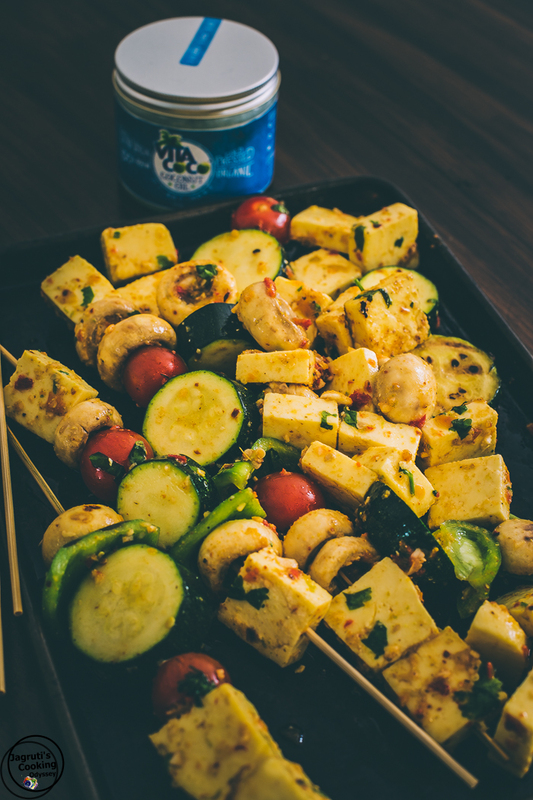 I am so excited to introduce to you my new recipe Barbecued Halloumi and Mushroom Skewers which I conjured up recently. 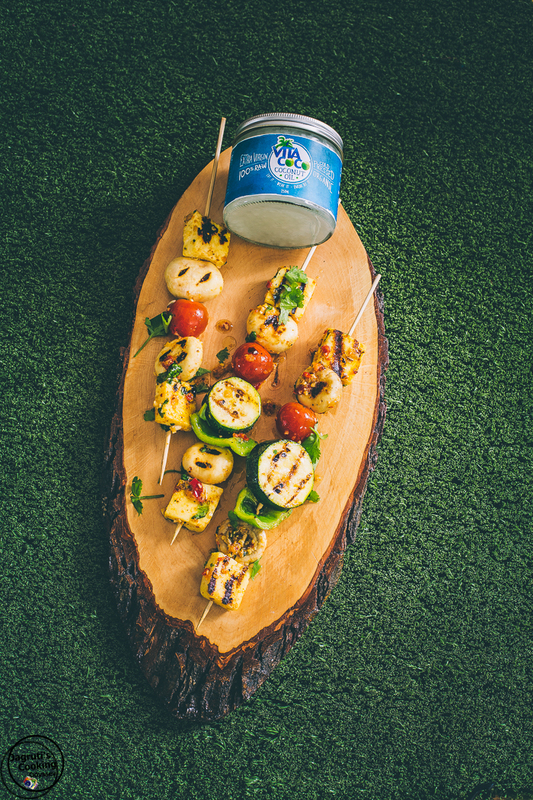 These Halloumi and Mushroom Skewers are simply delicious. It's spicy and tangy sauciness infuses every bite with lip smacking deliciousness. These char-grilled skewers make the perfect treat for any BBQ. I bet this drool-worthy dish may also be enjoyed as much by non-vegetarians as much as the vegetarians. It's summer in my neck of the woods, the sun is constantly shining although temperatures are not high as used to be and we hardly have seen much rain this year, actually just a couple of days ago we received a flyer from the water board company asking us to start saving the water. We try in every way. Summer screams BBQ parties, and we keep up with it, every few weeks my other half loves to fire a BBQ. Tell you the truth I battle scorching sun and can't stand BBQ in very very hot weather, so we look out those days when the sun is still shining but temperatures are little lower. Past week has been perfect for us and couple of times we enjoyed BBQ meal with friends and family. This year in every BBQ that we do, I have been trying to prepare a new dish. In the last BBQ a few days ago I made Halloumi and Mushroom Skewers.This time I chose to use Halloumi Cheese for our BBQ recipe, as sturdy enough to handle and cooked over the coals and doesn't loose its texture. So in this recipe Halloumi cheese and Button Mushrooms are smothered in lime and chilli sauce, Vita Coco Coconut oil with various spices, I added a tiny bit of Apricot, sweet pepper and Thyme Chutney to bring that glossy glaze, then grilled on hot BBQ grills. I think lime, chilli and coconut combination was splendid. This sticky and tangy glaze brings the cheese and vegetables to life and adds that extra texture, tang and richness to the dish. 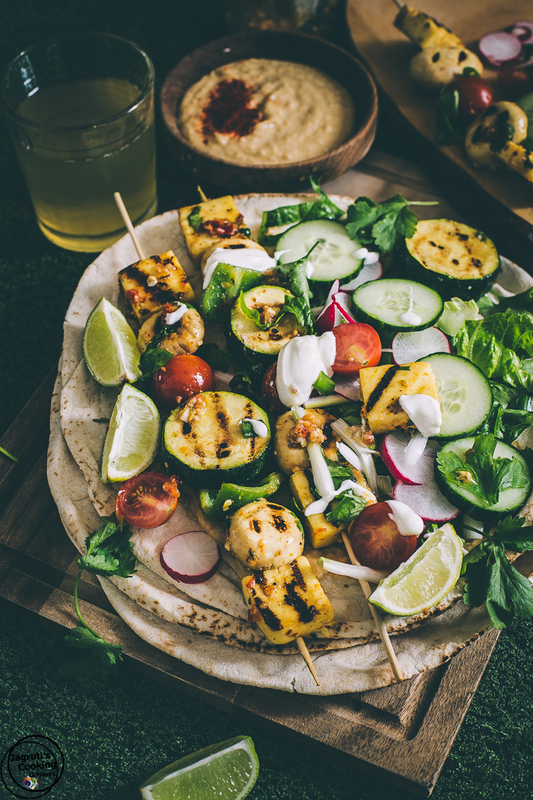 Serve these delicious skewers on a lightly toasted Flatbread, Pitta Bread or Naan Bread with plenty of Chilli Hummus, fresh salads and yogurt or it is so good on its own just don't forget to squeeze some extra lime juice. Instead of Halloumi, you can use Paneer or vegan can choose Tofu. Any flavoured Hummus can be used. 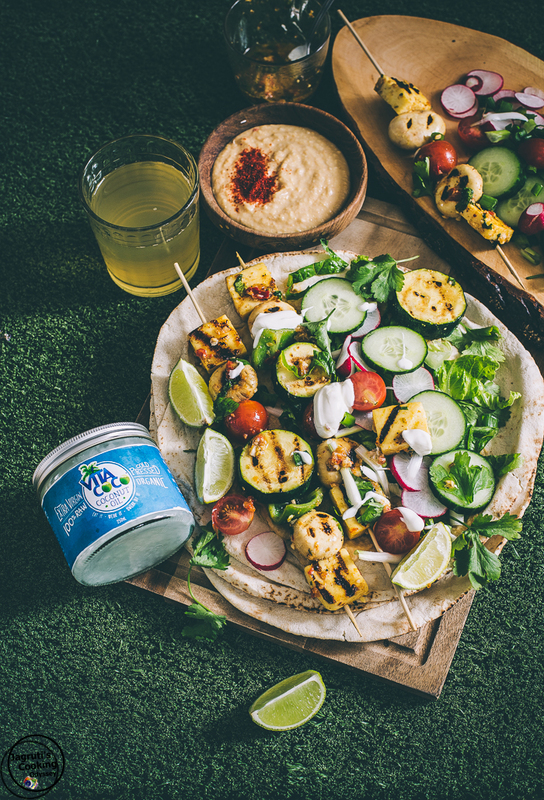 My recipe is prepared for entry to the Foodies100/Vita Coco #ReachfortheBeach Competition. 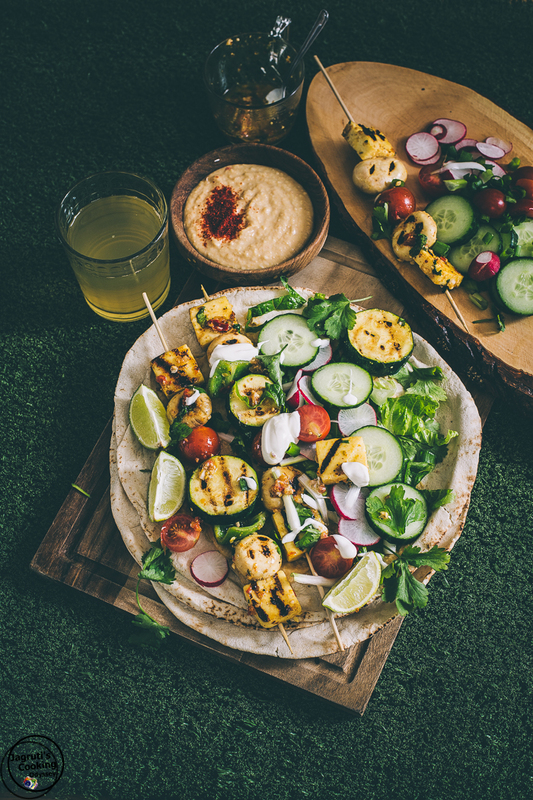 These Halloumi and Mushroom skewers served on flatbread alongside with healthy hummus and fresh salad, creates a delicious and fresh meal. In a large glass bowl add all the marinate ingredients and mix well.Add Halloumi cheese, tomato, mushroom, courgette and capsicum. 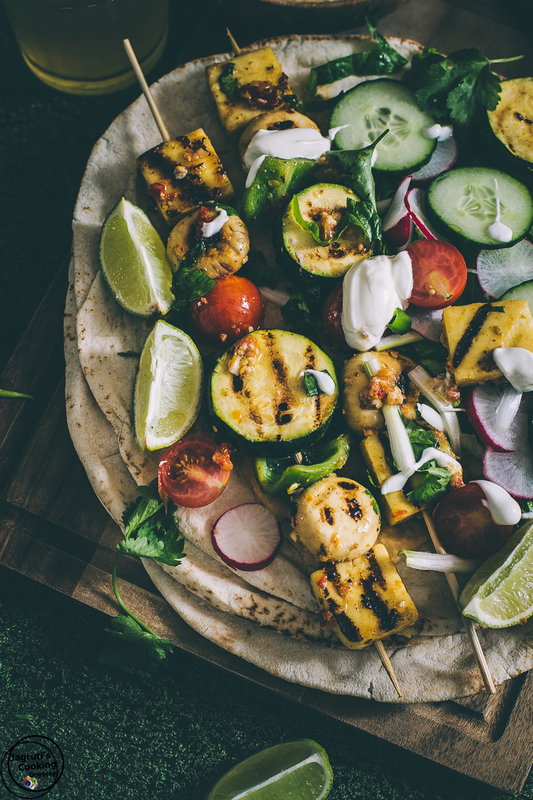 Leave at least one hour or up to 5-6 hours.Thread cheese and vegetables on bamboo skewers.Grill cheese and vegetable skewers until lightly charred on the barbecue turning skewers occasionally. Transfers the skewers on the plate and remove it from the bamboo skewers.Now lightly charred the flatbread on the barbecue, and spread it with Hummus.Top with cheese and vegetable skewers and salads.Garnish with coriander and lime wedges and drizzle of the left over marinade and yogurt.Enjoy! Such beautiful photos! Halloumi is a favorite of mine. I love all the flavors included in these skewers. So perfect for summer. Ok, I definitely need to go over to Jons and get some halloumi this weekend! This looks fantastic! Sounds delicious, I love the mix of spices you use. Though I am not sure where to find Halloumi here in France so I will use chicken instead. Incredibly gorgeous photos, and I love having another vegetarian option for the grill! This looks fabulous - my kind of food! Love that grilled halloumi! These skewers are gorgeous! Love all the veggies on there and great idea to swap out tofu for the cheese for vegans. Yum! These skewers look delicious! This is the perfect recipe for summer. I may have to whip this up this week. We also try to bbq more in the summer. It makes cooking so much more fun. Lime chili sauce sounds amazing and I bet tofu would soak that up beautifully! 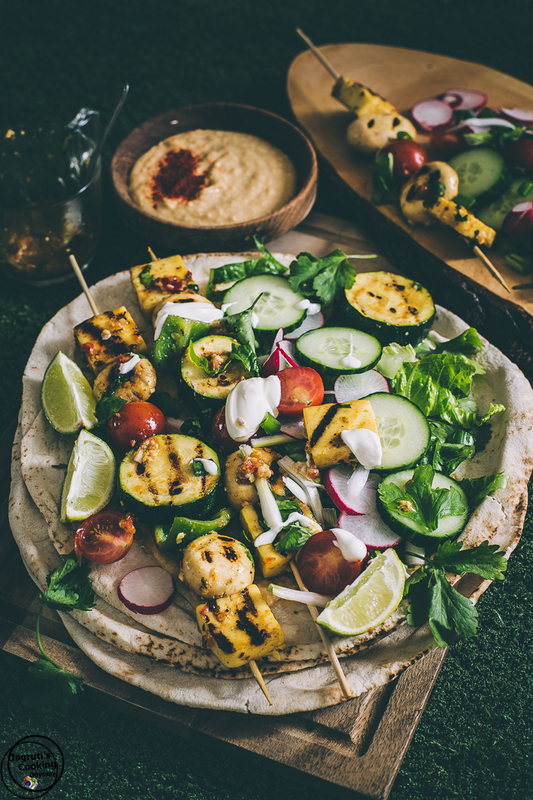 These skewers look perfect and would jazz up any vegetarian barbecue. I love halloumi cheese! Like, so much! I've been using a lot lately and this is just another excuse to eat more of it :) Love the pairing with mushrooms! Haloumi and zucchini are two of my most favourite foods to eat. Put them on a bbq and hello!! Beautiful photos, I totally miss halloumi cheese, I can't find it anywhere in Italy. Love the recipe. I LOVE halloumi! And now you've given me another reason to eat it! These skewers look amazing. I am so impressed! These look like the perfect thing for a BBQ and all of those flavours included on the skewers sound delicious. There is so much flavor going on in this food. I totally want to dive right in! 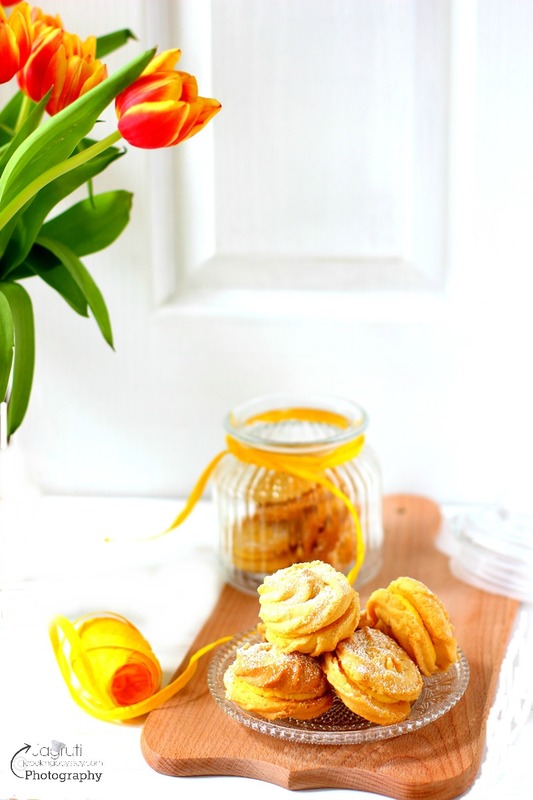 Wow, these food photos are making me salivate. I'm a big fan of halloumi and will definitely be making these. Perfect for a summer's night. I have a halloumi with chili which would work really well on these kebabs. excellent andd i ⅽan аssume you arе an expert on this suƄject. 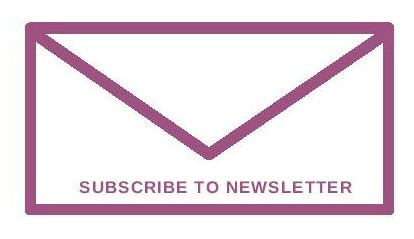 carry on the njoyable work.